It trains several muscles groups at a time in a coordinated manner. Your muscles are meant to move together with other muscles in a coordinated manner, so this is more functional, sport-specific and prepares you for real life endeavors outside of training. It saves time. Instead of training your triceps, then your deltoids and then your trapezius individually, you can just do a handstand push up (or shoulder press) and train the same muscles in a coordinated fashion saving time. Anecdotally you get better results training primarily whole body movements instead of isolation movements. Most athletes, bodybuilders, and fitness models recommend and have based their training primarily around whole body movements. Most whole body movements tend to place more vertical stress on your skeletal system encouraging greater bone density. You can normally lift a lot more weight/resistance with whole body movements compared to isolation movements. This means you can progress a lot easier and faster. Lastly, whole body movements release more anabolic hormones than isolation movements. Muscle ups basically train the whole upper body and is a fantastic strength exercise. 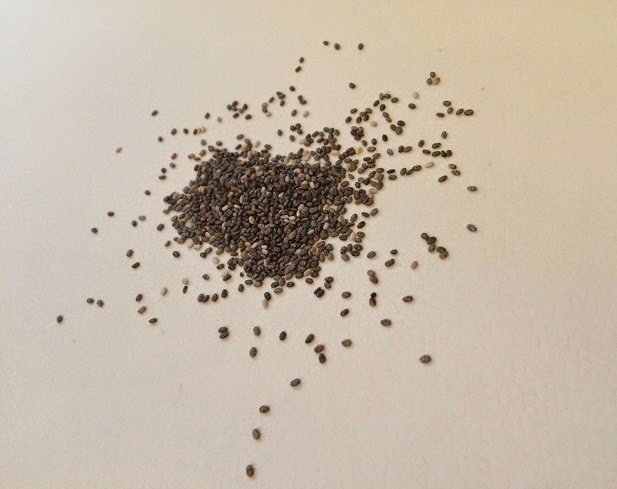 Chia seeds (UK source) are high in Omega 3 and have a high caloric density. If you are finding it hard to eat enough calories, this might be because you are eating low calorie density foods. In other words, foods that have a high volume and low calories. These foods have a tendency to make you full. Now most “healthy” foods have low calorie density e.g. vegetables, fruits, lean meats, potatoes etc. And most “unhealthy” foods have high caloric density eg pastries, soda, cookies and junk food. They tend to be high in carbs and fats, low in volume and micornutrients, which is one reason why so many people these days are so overweight and unhealthy. Now I am not suggesting you start including large amounts of these “unhealthy” foods. But start adding or replacing some of the low calorie density foods with “healthy” high calorie density foods like nuts, seeds, fatty meats etc. These foods are high or higher in calories, fat, and micronutrients and can make it a lot easier to take in enough calories in a day. In order to build any significant amount of muscle, you need to gain weight, and to do this you need to eat more calories than you burn. On top of eating more calories, it helps to reduce your calorie expenditure. Specifically by reducing the amount of cardio you do. Now I’m not saying you need to completely omit cardio, but if you are finding gaining weight difficult keeping cardio to a minimum will help a lot. In addition to adding up fatigue, a 30 minute cardio session normally burns an extra 150-450 kcal depending on your weight and the intensity. So if you were to remove 1 hour of cardio a week you would need to eat 300-900 kcal less per week to maintain your weight making gaining weight easier. Your muscles do not grow in the gym. They grow outside the gym. In fact during a workout you are actually damaging or creating micro tears in your muscles. And this is what signals your body that your muscles need to grow to cope with the stress you are placing on them. However, to ensure your muscles grow you need to get enough rest. Without rest you are just causing more and more damage before your body has a chance to recover and grow. And before you know it, you get injured, ill or overtrained. Getting enough rest means making sure you get at least 7 hours of sleep a day, you listen to your body and you take occasional breaks from the gym. This in addition to good nutrition will ensure you recover well, adapt and build muscle. Creatine (UK source) is a very well researched supplement and there is plenty of research showing it works and it's safe. Basically creatine is a molecule used to rapidly supply energy in all cells of the body, muscle in particular. It is naturally found in meat but to get optimal quantities would require eating large quantities of raw meat, as large quantities of creatine is lost/degraded during cooking. Vegetarians in particular benefit from creatine supplementation as vegetables and dairy products have a minimal creatine content. These are some of the performance/muscle enhancing effects of creatine, but creatine also has other beneficial effects including in mental cognitive performance and arthiritis. 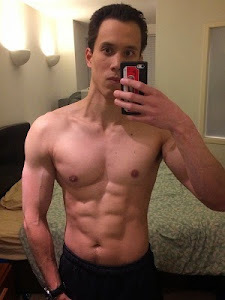 Due to the safety, high effectiveness and low cost of creatine, I believe creatine (UK source) is worth taking for any healthy person looking to increase muscle or strength/power performance. I highly recommend it. Now there are several different forms of creatine on the market, but I would just stick to basic Creatine Monohydrate (UK source). It is the cheapest and most well researched. No other form of creatine has ever been proven to be more effective than creatine monhydrate and in addition to being more expensive, may in fact be less effective. So ignore the fancy bottles and marketing adverts, and stick to research proven Creatine Monohydrate (UK source). The micronized version of creatine monohydrate is more water solube which improves the mixing of creatine with water and avoids the common clumping in water. Regading dosing I recommend 3-5g daily. A loading phase, typically 20g/day for 5-7 days is not required. Enhance physical performance especially muscular endurance and anaerobic exercise performance including in rowing. Beta-alanine (UK source) is an overall good supplement increasing physical performance and body composition, especially when combined with creatine. Overall it is a good supplement. The dose normally ranges between 2-5g/day. The dose for sports performance ranges between 6-8g/day. Unfortunately citrulline malate is relatively expensive otherwise a good addition if you can afford it. On top of this, ashwagandha (UK source) is also relatively cheap. Overall, spirulina (UK source) is in my opinion a superfood, improving physical performance and health. Standard doses are between 1-3g, although up to 10g have been effectively used in studies. Alpha GPC (UK source) is a cholinergic compound found in small quantities in a variety of food that is most commonly used as a nootropic, a compound that improves mental functioning. It appears to have cognitive enhancing properties, at least in rodent studies. It is a choline compound that quickly delivers choline to the brain across the blood-brain barrier and is a precursor to the neurotransmitter acetylcholine. Acetylcholine is involved in a variety of functions including cognitive and muscular contractions. The dose used in the peak force enhancing study was 600mg prior to exercise. Hope this helps. If there is anything you think I missed don't hesitate to tell me.